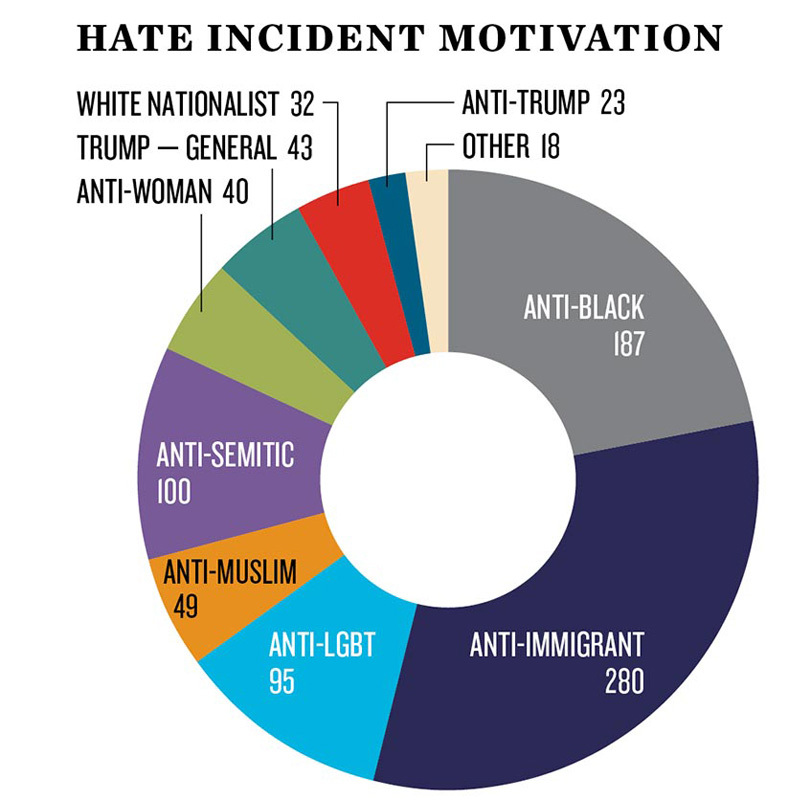 New SPLC reports reveal alarming pattern of hate incidents and bullying across country since election: The Southern Poverty Law Center recently released two reports documenting how President-elect Donald Trump's own words have sparked hate incidents across the country and had a profoundly negative effect on the nation's schools. Note: there is an entire hate crime category dedicated to Trump. Trump Is a Great Storyteller. We Need to Be Better. "Great literature cannot exist if it is based on hate, fear, division, exclusion, scapegoating or the use of injustice. Bad literature and demagogues, on the other hand, exploit these very things, and they do so through telling the kind of demonizing stories good literary writers reject." Dorothea Lange's Censored Photographs of FDR's Japanese Concentration Camps: The military seized Dorothea Lange's photographs of Japanese American internment, quietly depositing them in the National Archives, where they remained mostly unseen and unpublished until 2006. Still Against Hand-holding and Gaslighting: Still Standing Up For Myself: In the short time she was there as an invited artist, writer and poet Janice Sapigao experienced some serious racism, misogyny, ableism, and ageism at the San Jose State University Local Lit Author Fair. Some further thoughts while she awaits a formal apology. I’m a Journalist and I Was Stopped From Covering Standing Rock: Canadian photojournalist Ed Ou was on his way to cover the protest at Standing Rock when U.S. border guards detained him for four hours and asked to search his cellphone before ultimately denying him entry into the United States. What It's Like as an Asian-American Journalist to Interview a White Nationalist: ABC's Juju Chang recounts a heated interview with a white nationalist. Spoiler: It was hateful and disgusting. Will Grandma have a place in the new Chinatown-International District? As developers look to Seattle's Chinatown-International district for new high rises, the current community may lose their housing. Bruce Lee Helped Me Come to Terms With the Death of My Son: First annoyed by the tourists who asked her for directions to Bruce Lee's grave, Linda Dahlstrom Anderson takes these interruptions as a lesson in mourning the death of her infant son. Meet the Desi Artists Fighting Back Against Trump with Punk Rock and 'Post-Colonial Pop': Doctors & Engineers, The Kominas, Saraswathi Jones, and more talk about resistance, heritage, and Islamophobia. The New Crush: In his major motion picture debut, The Edge of Seventeen, Hayden Szeto steals scenes -- and hearts -- as a lovestruck teenager.